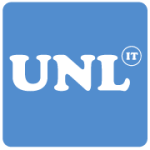 UNL Solutions is a UK-based software development company with over 150 IT specialists across Belarus and Ukraine. We provide custom software development services to companies who look to deliver innovative solutions without operating overheads. Web, software, mobile, AI, Machine Learning - our expertise covers 20+ technologies and 10+ industries.